I’ve been annoying this forum for about 10 years now, SORRY! Usually I post about lunch but lately have been whining about my dog dying. You see, life isn’t all that easy on me and when I lost my dog I just kind of flipped. Anyhow, my last dog was a pit bull mix from the shelter and was just perfect. I tried to do that again but it wasn’t working out for me. I think the adult dogs were just too close to my last dog. On a whim I applied to adopt a puppy from a bunch that were saved from a fighting ring. I LOVE HIM. 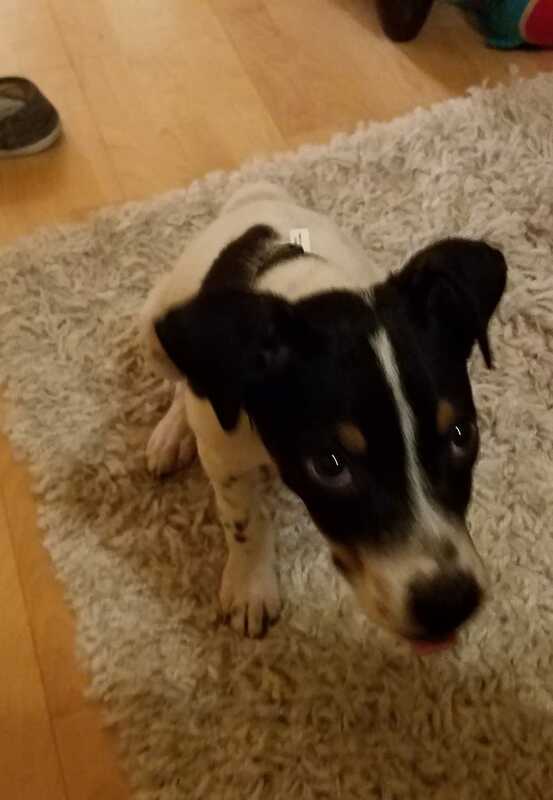 He’s not a pit bull, we think he’s a blue heeler/pointer. Feel free to state your opinions. Say hello to my new dude! Name is still in the making, dog day care funds are being researched.